The exchange was to be an “equal value” land swap between the Utah School and Institutional Trust Lands Administration (SITLA) and the federal Bureau of Land Management (BLM). 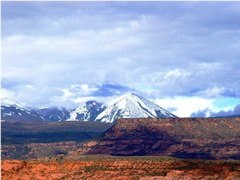 In concept, The BLM would receive prime recreational acreage around Moab and throughout Grand County. 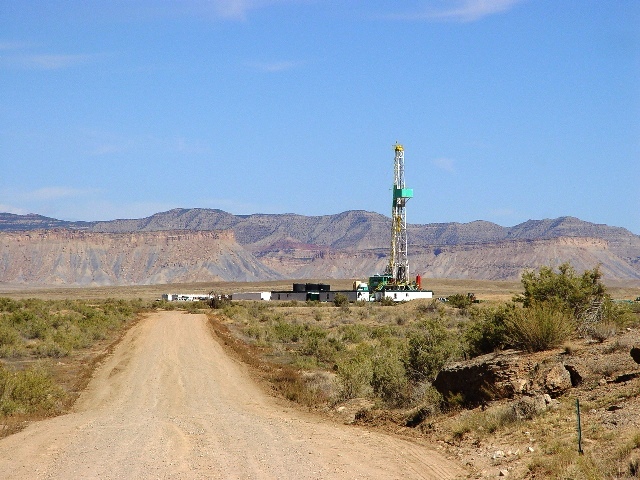 SITLA, on behalf of the State of Utah, would receive prime mineral extraction lands in Uintah County. Upon development of mineral rights in Uintah County, all of Utah’s school districts would receive benefit of payments from the interest and mineral royalties accrued to SITLA. By titling their URLEA webpage the “Utah Recreational Land Exchange”, the BLM makes the agreement sound like a “win – win” situation for all concerned. Tourists will see a bit more protection for Greater Canyonlands, near Moab. Schoolchildren throughout the state will see school funding rise by an undetermined amount. Regarding the URLEA, BLM declared a “Finding of No Significant Impact” (FONSI). Thus, according to BLM, an acreage exchange totaling 60,550 acres is not a “major federal action” and “will not significantly affect the quality of the human environment”. Uintah County, as well as the State of Utah, takes its name from the portion of the Ute Indian tribe that lived in the Uintah Basin. Among the 32,588 residents of Uintah County, the URLEA FONSI statement might raise a few eyebrows. Whether it is air pollution or water pollution, Uintah County has been the dumping ground for “the unwanted” since the mid nineteenth Century. 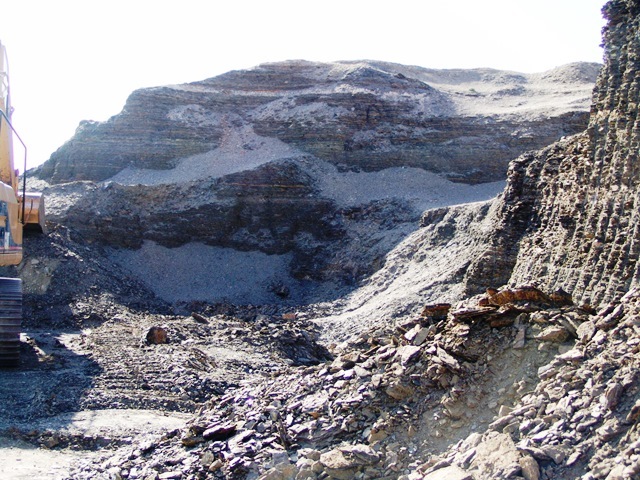 Today, Uintah County features the most significantly degraded environment in the State of Utah. In fact, the degradation of both the human and natural environments of Uintah County is legendary. Unlike most of Utah, Mormons did not settle Uintah County. In 1861, Brigham Young sent a scouting party to the Uintah Basin and received word back the area was “good for nothing but nomad purposes, hunting grounds for Indians and to 'hold the world together'". That section of country lying between the Wasatch Mountains and the eastern boundary of the territory, and south of Green River country, was “a vast contiguity of waste and measurably valueless”. Young made no further effort to colonize the area. Instead, he decided to send Ute Indians there. That same year, President Abraham Lincoln created the Uintah Indian Reservation, thus beginning the relocation of many Utah and Colorado Indians to the Uinta Basin. In the 1880s, the federal government created the Uncompahgre Reservation (now part of the Uintah and Ouray Reservation) in the southern portion of Uintah County. The Uintah and Ouray Indian Reservation comprise a significant portion of west Uintah County. There is relatively little private land in the county. 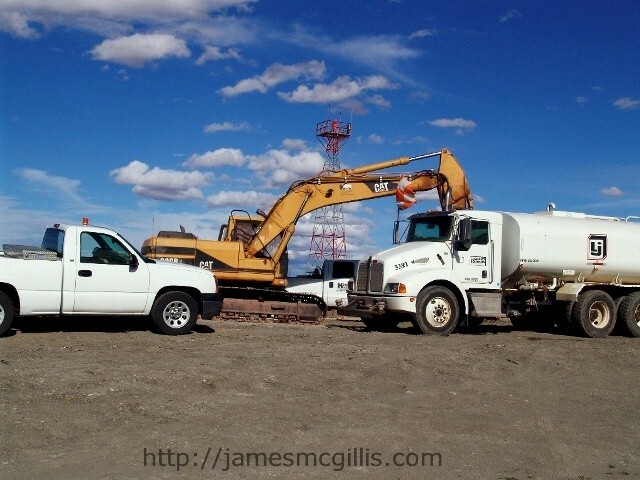 Uintah County's economy is based on extracting natural resources, including petroleum, natural gas, phosphate, and uintaite, which is a natural asphalt more commonly known by its trade name, Gilsonite. In the 1860s, Samuel H. Gilson initiated mineral extraction in Uintah County. In the early twentieth century, Gilsonite became the base for the black paint on Henry Ford’s Model T automobiles. In the early twentieth century, coal was the focus of mineral exploitation. Although now defunct, the Dyer Mine, Little Water Mine and Uteland Mine each laid waste to lands within Uintah County. Today, the county features branch offices of several petrochemical companies, including Halliburton and Schlumberger. The February 2014 URLEA Decision of Record states, “The overwhelming majority of the non-Federal lands in the exchange are within areas designated through the land use planning process for special management for conservation and recreational purposes.” What that document does not say is that the overwhelming majority of the Federal lands in the exchange are within areas designated “Open” for oil, gas and tar sands development. Even so, the BLM FONSI statement ignores the potential impact by saying that mineral extraction on over 35,000 acres in Uintah County “will not significantly affect the quality of the human environment”. Again, if we look deeper, the picture is not so clear. In July 2013, Cushman & Wakefield completed the Appraisal reports for the Federal and non-Federal lands identified in the URLEA. The reports included a mineral evaluation of the exchange parcels "previously screened and identified by the State and the BLM" as having potential mineral values. Thus, if neither SITLA or BLM had previously identified the mineral resources on a given parcel, the Appraisal ignored the value of any minerals present. In fact, the Appraisal found that BLM would “experience a net gain of lands with potential for potash and sand and gravel and a net loss of lands with potential for oil and gas and tar sands”. 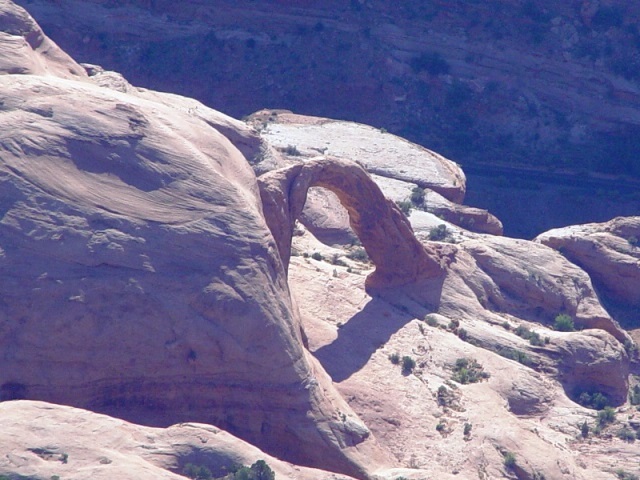 Therefore, as SITLA and Uintah County experience a net gain of lands with potential for oil and gas and tar sands, BLM and Grand County will receive several natural arches and other sensitive sites, plus the potential for more new sand, gravel and potash mining. In 2013, BLM claimed that it had no choice but to issue permits for potash exploration near the Hatch Point Anticline Overlook. If the Moab District Resource Management Plan Map (RMP) designated an area as “Open”, BLM said it was obligated to issue the exploratory drilling permits. Other questionable acts by the Moab BLM Field Office include the 2013 issuance of a commercial filming permit in the Desolation Canyon Wilderness Study Area. Apparently, the local BLM office saw filming of a “MythBusters” television episode as being wholly compatible with “wilderness study”. At Hatch Point, in what had been an undisturbed, spiritual environment, drill rigs now dot the landscape. Each mineral exploration foray into Greater Canyonlands lessens the future chances of creating a Greater Canyonlands National Monument. If the extraction companies can lay waste to sufficient territory, they can effectively destroy the undisturbed environment necessary for national monument status. Meanwhile, the Moab BLM Field Office stands ready to issue permits for filming and mineral extraction on an expedited basis. Other than brief a mention on Page Seven of the URLEA Decision Record, there is no indication of where in Grand County those "sand, gravel or potash" resources lay. If the sand, gravel and potash deposits mentioned in the URLEA are in areas designated as “Open”, we can expect to see a boon in BLM permits issued for their immediate exploration and extraction. In the case of Hatch Point potash, the Moab BLM Field Office has already demonstrated blind allegiance to its own Resource Management Plan. Under URLEA, we can expect any "Open" lands transferred to BLM purview to become immediately available for mineral exploration. 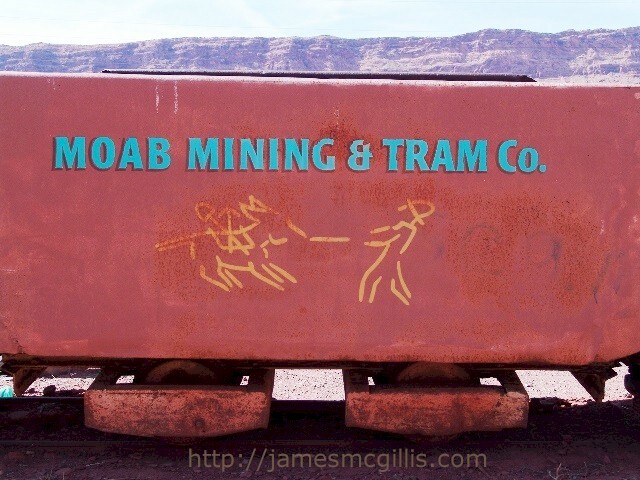 In Moab, once exploration begins, it is only a matter of time before exploitation follows. That outcome would be in direct opposition to both the spirit and the letter of this law. Each parcel conveyed from SITLA to BLM should contain stipulations that include no future mineral development. 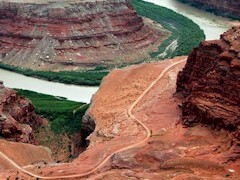 Only then shall we see an actual increase in protection for Greater Canyonlands. A major premise of the URLEA is that the land exchange between Utah (SITLA) and the BLM shall be of "equal value". If that is true, how can 25,034 acres of non-Federal lands with largely recreational or environmental uses be equal in value to 35,516 acres of Federal lands targeted for mineral extraction? Grand County itself is going through a binge of land clearing and drilling activity unseen since the days of Charlie Steen, the "Uranium King". In their official Appraisal, Cushman & Wakefield valued each parcel according to its “highest and best use”. Even with 198 parcels included in the URLEA Appraisal, BLM contact Joy Wehking at the BLM-Utah State Director's office told me that representatives of Cushman & Wakefield visited every site. Upon returning to their offices, correlating their field observations with the existing parcel descriptions was a daunting task. 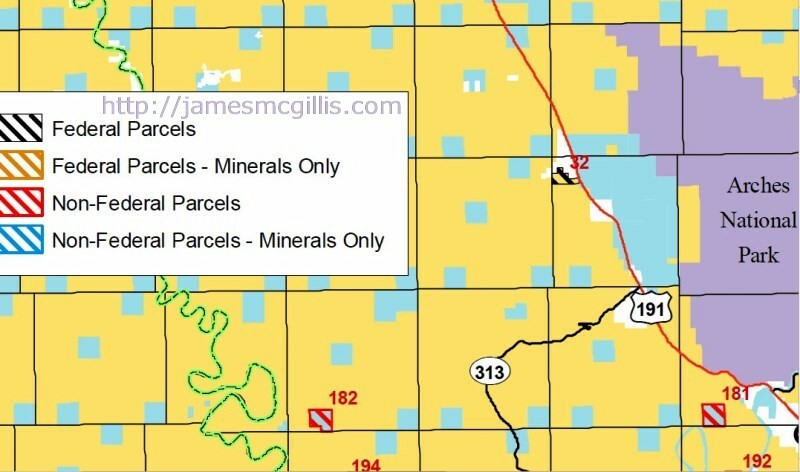 Despite their apparent best attempt, or perhaps because both BLM and SITLA failed to identify its mineral potential, Cushman & Wakefield missed badly on at least Parcel 32. According to all the positive publicity, the intention of the URLEA is to preserve and enhance recreation and to protect environmentally sensitive lands in Grand County. That such preservation and enhancement comes at the expense of an underrepresented rural county to the north is URLEA's “dirty little secret”. 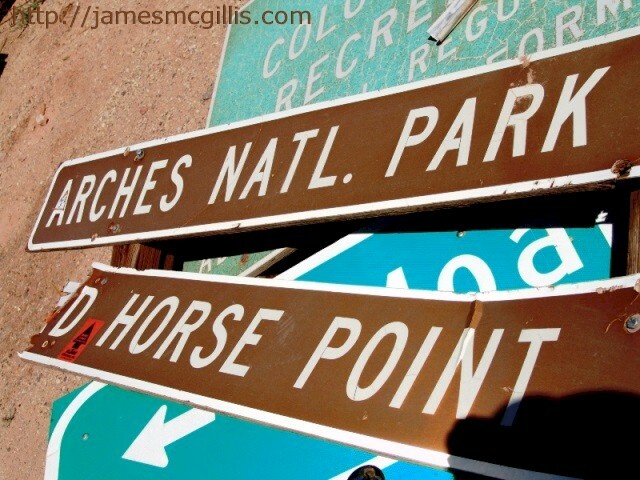 In Nevada, there is a secret place called “Area 51”, which is wrapped in myth and mystery. In Grand County, URLEA “Parcel 32” is equally mysterious. In a counter-intuitive move, the BLM proposes to transfer a prime Grand County parcel to SITLA. Once it becomes part of SITLA lands, Utah can then lease it to the highest bidder or sell it outright. According to URLEA maps and documents, Parcel 32 consists of 352 acres of Federal land adjacent to Canyonlands Field (Moab Airport). 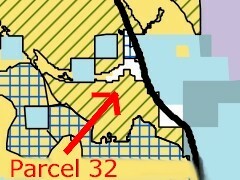 The “Oil and Gas Leasing Stipulations” for Parcel 32 are “Open Subject to Standard Stipulations”. Despite its obvious potential for commercial or petrochemical development, Cushman & Wakefield appraised the “highest and best use” of the entire parcel as “grazing land”. According to URLEA documents, Alan Swenson, Russell Stansfield and Fred Hunzeker do hold a grazing permit named “Bigflat-Tenmile”, but for only eighty of the 352 acres. That grazing permit expires in 2018. 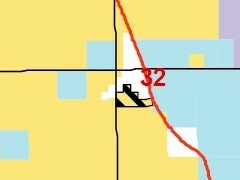 Elsewhere, in the URLEA section titled “Interests to be Conveyed or Reserved”, Parcel 32 reserves (and contains) county and U.S. highways and Union Pacific rail access, as well as a Fidelity Exploration & Production Co. “pipeline” and a Pacific Energy and Mining Company (PEMC) “gas pipeline”. Despite its “Open” status for oil and gas leasing, by identifying it as grazing land, Cushman & Wakefield erroneously appraised Parcel 32 as being worth only $780,000. Other than the transportation interests in the property, what do we know of the current occupants of Parcel 32? 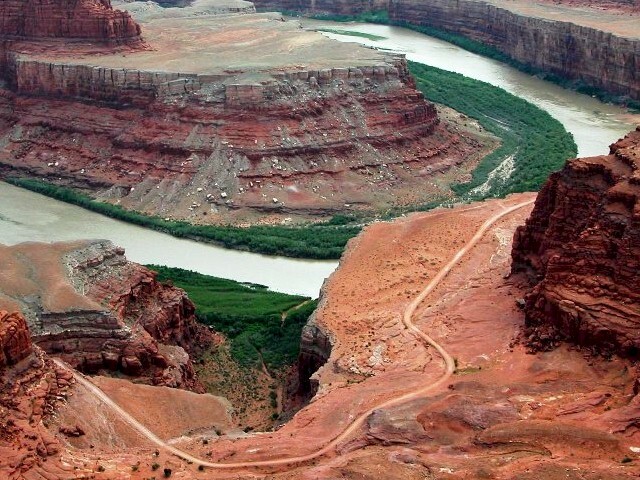 Recently, Fidelity Exploration began increased culinary water purchases from the City of Moab, ostensibly for use on their rapidly expanding gas field near Dead Horse Point. Moab City Manager Donna Metzler says the amount of water the town sells to drillers is “not a big hit on the system,”. Metzler went on to say, "I don’t know exactly where they take the water. I don’t know exactly what they’re using it for... You would expect a small motel to use about that much water." For their part, Pacific Energy, is one of the more secretive oil and gas operations in Grand County. Although they do have a website, it is identified only by their internet URL address, not the name of the company. Although their website looks professional enough, the PEMC "Oil" webpage links to a Chevron Oil Company "Crude Oil Marketing" webpage. The PEMC "Investors" webpage links to a Yahoo Finance stock listing for the company. Listed as "Over the Counter - Other", in the past year, PEMC has traded at between one cent per share and $.35 per share. Its latest close, on February 3, 2014 was three cents. Most stocks that I watch do not fluctuate by 350% in a single year. In any event, PEMC looks like a penny stock that is ripe for speculation. Had Cushman & Wakefield appraised Parcel 32 for its potential as an oil and gas production site, or as a railroad and highway terminal or transfer-station for two of the largest oil and gas producers in Grand County, its value could have gone as high as $10 million. Not ironically, over 20,000 SITLA-owned acres, which were valued at $10 million, recently disappeared from the land swap in order to adhere to the “equal valuation” clause of the agreement. If the current version of URLEA becomes law, what will future airline passengers and motorists see as they approach Moab from the north? As early as 2019, if the Moab BLM Field Office holds to their own Management Resource Plan, visitors can expect to see a 352-acre petrochemical production facility adjacent to Canyonlands Field. 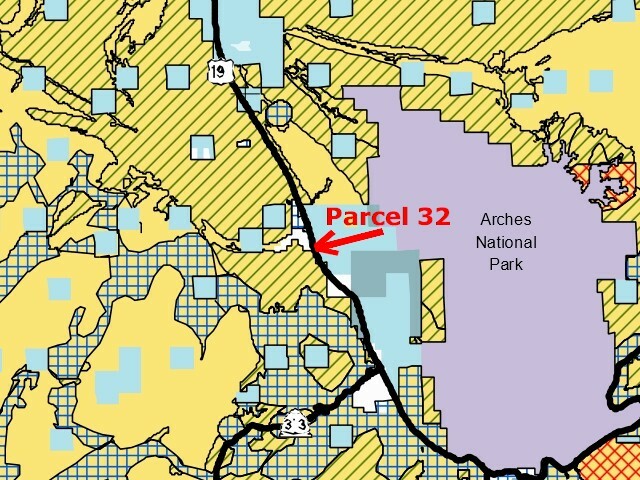 Based on its existing Management Resource Plan, and the BLM Moab Field Office's history of granting any and all conforming mineral exploration permits, the last chance to stop exploitation of Parcel 32 is to either remove it from the land swap or force SITLA to pay "equal value" as indicated by its potential for commercial or petrochemical development. According to BLM contact Joy Wehking, SITLA is on public record that they plan to convey Parcel 32 into as yet undetermined private ownership. "It is the price we have to pay", she added. If the underlying premise of the URLEA is an "exchange of equal value", why should "we, the people" pay anything to assist private development of land designated by the URLEA as "cattle grazing land"? 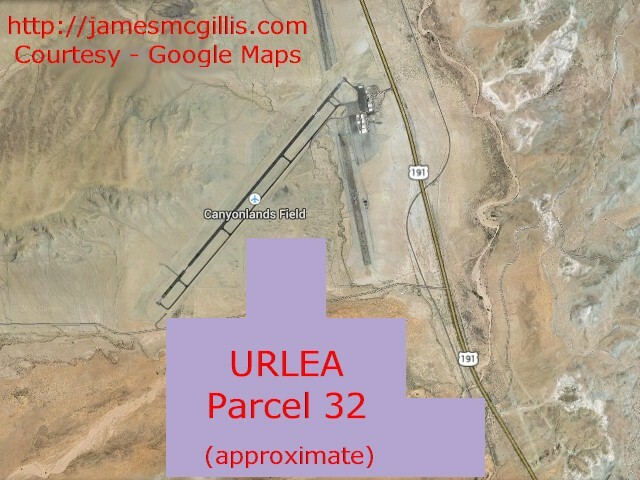 Unless the BLM receives hard-copy, written protests prior to the close of comments on March 24, 2014, URLEA Parcel 32 will soon thereafter transfer to Utah/SITLA at a grossly undervalued price. If my evaluation is correct, SITLA should immediately reintroduce the remaining 20,000 acres originally targeted for inclusion in the land swap. Only with the inclusion of all $10 million worth of non-Federal parcels recently withdrawn, can the BLM claim that URLEA represents an "exchange of equal value". If SITLA refuses a fair appraisal for Parcel 32, BLM could void the URLEA and produce the Environmental Impact Study (EIS) that it should have conducted in the first place. As of this writing, it is too late for "comments". Even sending an email to BLM will not help. The only action that will halt this land-grab is if "interested parties submit written protests to the BLM-Utah State Director". Sadly, the BLM webpage for URLEA does not include the mailing address of the BLM-Utah State Director. During a telephone call to BLM contact Joy Wehking, she informed me that the appropriate mailing address is listed at the top of the "Notice of Decision" page. Since the BLM did not see fit to put that address on their main URLEA webpage, I will publish it here: Attn. Joy Wehking, United States Department of the Interior, Bureau of Land Management (BLM), Utah State Office, 440 West 200 South, Suite 500, Salt Lake City, Utah 84101-1345. Ms. Wehking informed me by telephone that as of March 7, 2014, no written protests to URLEA were then on file. With my mailing a copy of this document to her, that situation will soon change. 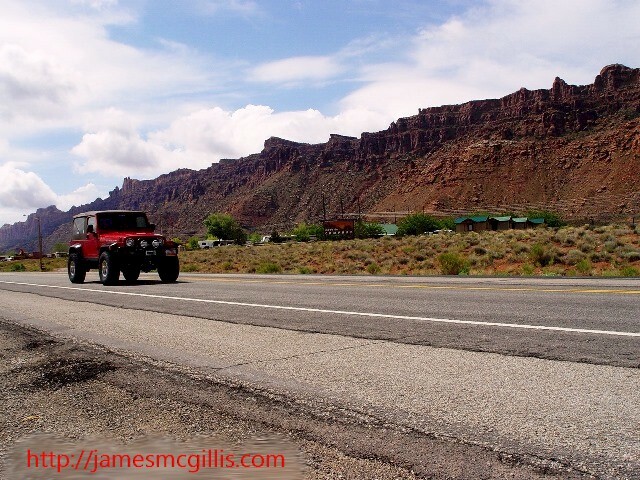 In May 2013, I drove from Downtown Moab, via U.S. Highway 191 North. My destination was the turnoff to Utah State Route 313, which is the gateway to Canyonlands National Park and Dead Horse Point State Park. Although the distance was only eleven miles, the turnoff at Route 313 seemed like another world. Far from the shops and restaurants that make Moab so inviting to tourists, my destination was hot, dry and desolate. “Seven miles from nowhere”, I said to myself. Almost as soon as I turned on to Route 313, I spied an interesting contraption parked on a nearby railroad siding. 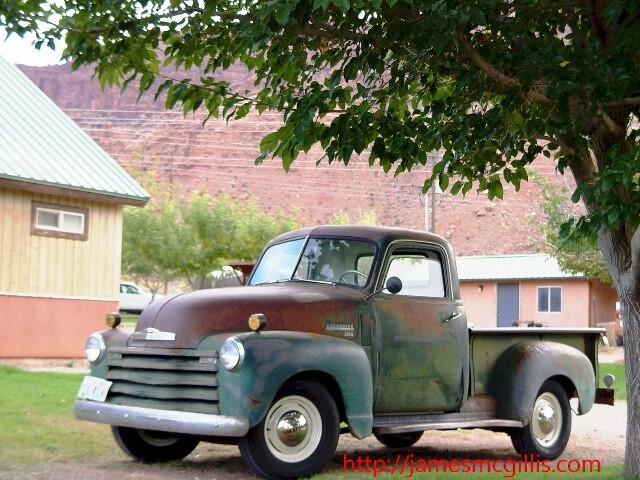 With my pickup truck, I had easy access to the location of this unusual mechanical beast. 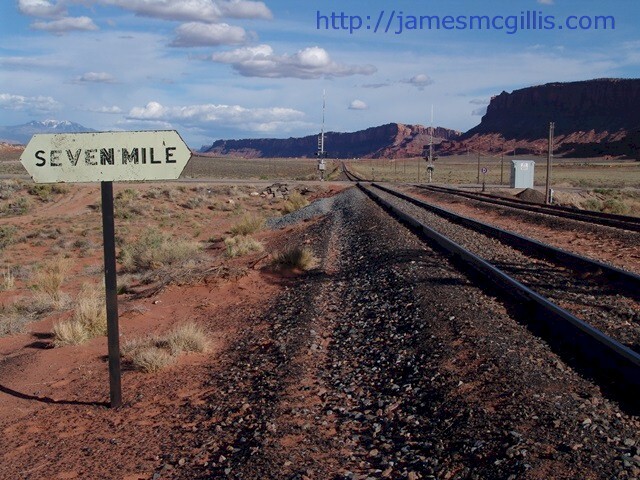 Nearby, a weathered railroad sign identified the place as “Seven Mile”. Union Pacific Burro Crane BC-47 became “The Burro at Seven Mile”. In six-inch letters on the rear of its turret, the words, “BURRO CRANE” stood out on its cast iron ballast. 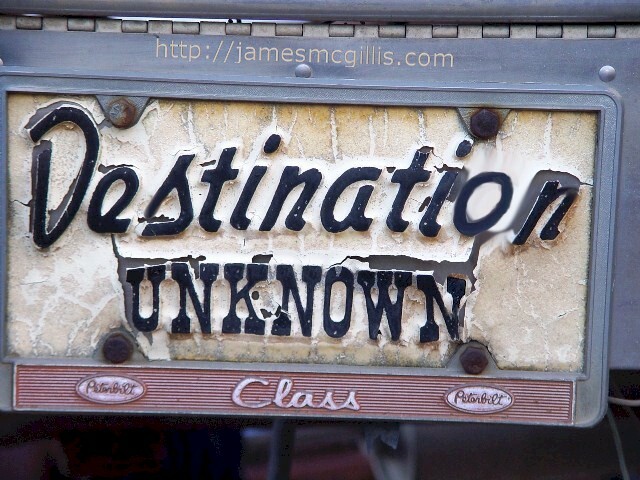 In the dry desert air, that cast iron emblem could last for millennia. On first glance, the turret of the Burro Crane looked like an antiaircraft gun from a mid-twentieth century warship. Upon further inspection, the function of the Burro Crane as “maintenance of way” equipment became obvious. With its flatcar as a tender, the Burro Crane was a mobile track repair vehicle. The burro’s compact, rounded turret allowed it to swivel without its ballast overhanging an adjacent rail line. Nearby, old and worn-out railroad ties lay in a pile. In addition, at trackside was a collection of bent and worn steel rails. Rather than utilizing welded steel rails, the old the Potash Branch line features 1960s railroad technology. In keeping with railroad construction throughout the nineteenth and twentieth centuries, wooden ties were set into gravel. Using large wrenches, nuts and bolts secured one track to another. For stability, spikes held the rails to the ties. Replacing earlier manual labor, the Burro Crane and its tender helped to automate the track repair process. 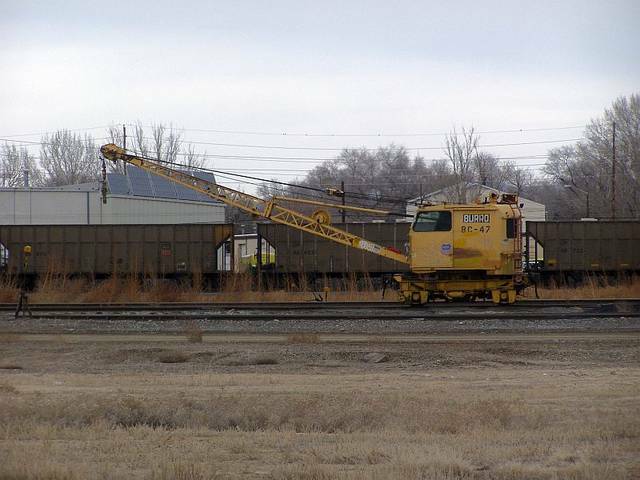 Accompanied by a small crew, the operator could use the Burro Crane’s diesel engine to propel both burro and flatcar to a prospective repair site. If rails required moving, the repair gang would first remove the bolts between the affected rails. After removing the spikes on the affected rails, the burro would use a cable-strung electromagnet to lift each rail from the roadbed. If the repair required new railroad ties, the Burro Crane could lift out any damaged or derelict ones. A bucket could scoop up new gravel from the flat car or reconfigure existing ballast at the scene. Once the ties were in place, the gang could bolt the rails back together and then drive spikes into the new ties. By today's standard for automated track-laying along mainline roadbeds, the Burro Crane and gang system seem archaic. Still if repairs are only occasional and are not extensive in nature the Burro Crane’s throwback design and relatively diminutive size can be more economical than the use of heavier equipment. With weather and monkey-wrench protection for its powertrain, this vintage piece of equipment could go on operating indefinitely in the dry climate of the high desert. In wetter climates, most similar units have disintegrated into piles of rusty scrap metal. The geographic setting at Seven Mile is epic. The crane's block and tackle dangled only six feet from the ground. The angle of the lattice-boom appeared ready for business. In the background are the Klondike Bluffs of Arches National Park. 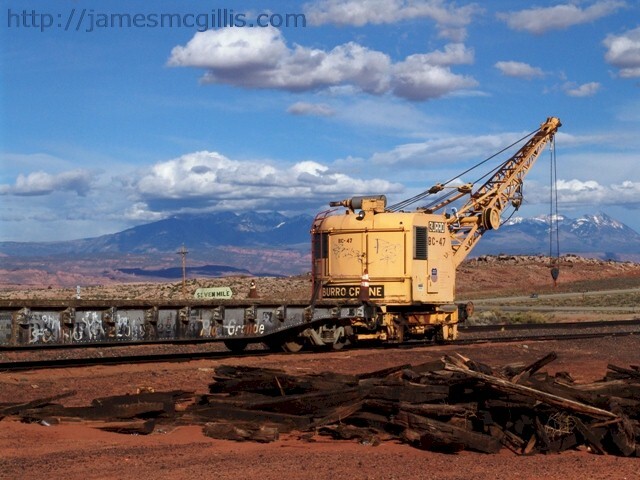 From another angle, the view beneath the long boom is of the La Sal Range, far past Moab. Other than the power poles and their high-voltage lines that cross near Seven Mile, the Burro Crane was the most prominent human-made object in sight. In fact, it appears on Google Maps (2014 version) much as it did the day of my visit. 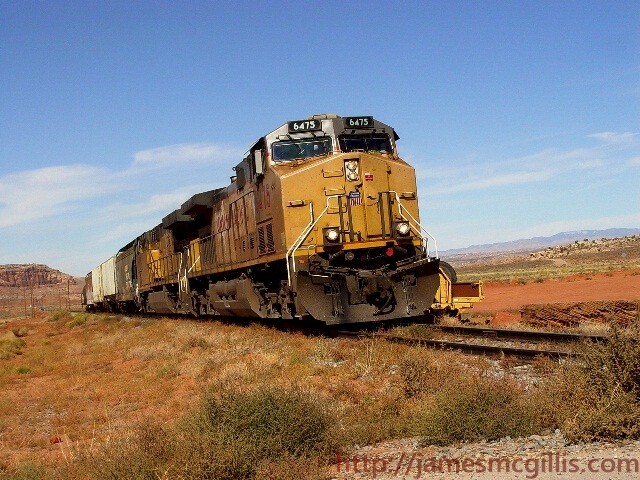 With a Union Pacific emblem on the side of its cab and its faded yellow paintjob, the Burro Crane appeared to be authentic Union Pacific rolling stock. Soon I determined that Burro Crane BC-47 more likely started life with the old Denver & Rio Grande Western Railroad (DRGW), which is a precursor to the contemporary Union Pacific. The giveaway is the flatcar tender, which appears to be even older than the venerable Burro Crane. The flatcar still bears DRGW markings. Spray-paint on the side of the flatcar indicates that the last date of inspection or repair was 4-‘84, almost thirty years prior. In the Old West, a prospector and his burro were mates for life. Since the arrival of this burro, more than half century ago, the old flatcar and the new burro mated and then stayed coupled for life. As I began my research into Burro Crane BC-47, I found that it might be the last Model 40 Burro Crane operated by the Union Pacific Railroad. My Google searches yielded only two pictures of Union Pacific Model 40 Burro Cranes and both were of BC-47. In the past decade, BC-47 has apparently stayed close to home. 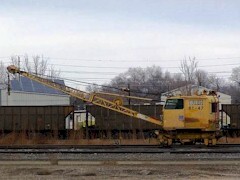 Those two photos of the crane and tender were taken in nearby Green River, Utah and Grand Junction, Colorado. With its age and size, it is unlikely that BC-47 would stray beyond the Western Slope of the Colorado Plateau. If indeed the Burro at Seven Mile were the last of its breed operated by the Union Pacific Railroad, it would be interesting to see it in action. 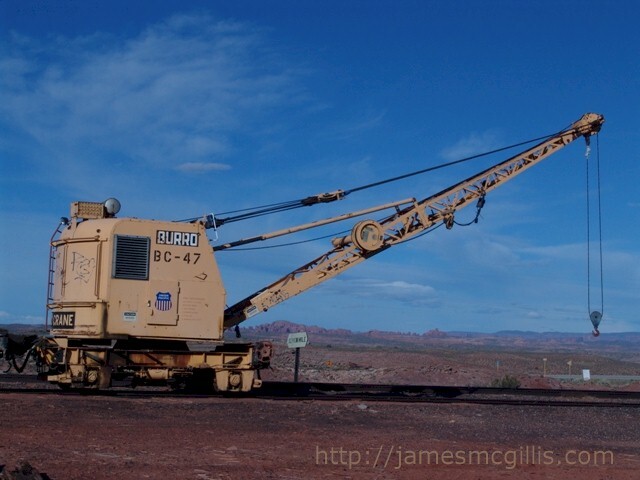 I propose that rail buffs in Moab and fans of the Union Pacific Railroad request a public demonstration of Burro Crane BC-47. 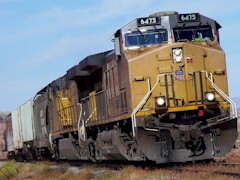 Since it already sits on a siding, that demonstration could include lifting old rails and ties on to transport vehicles for disposal at an appropriate location. If anyone out there can help to arrange such an event, please contact me at my email address below. I shall be happy to attend. This is Chapter 1 of a two-part article on railroad Burro Cranes. To read Chapter 2, please click HERE. 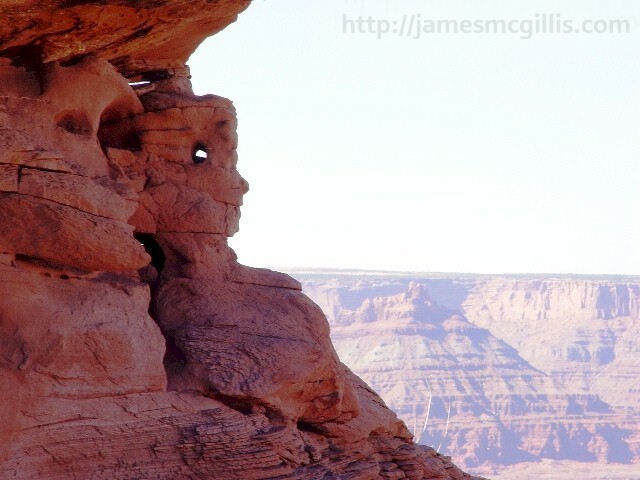 Forty-one years after my first visit in 1965, I returned to Moab, Utah in 2006. 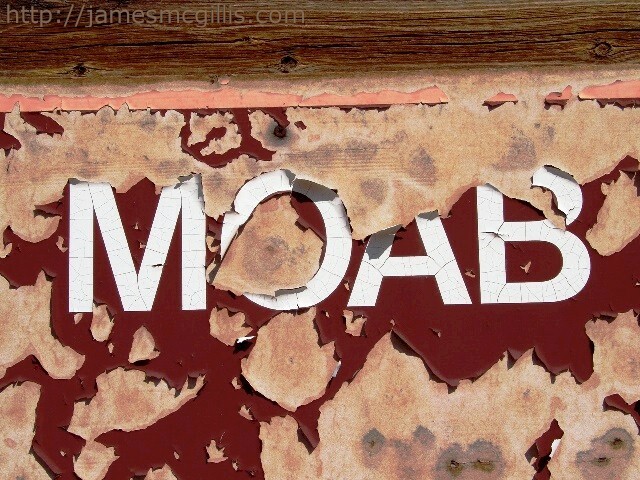 Although I had lived in Denver in the late eighties and had traveled extensively in the Four Corners region during the interim, Moab had been off my radar for all of that time. In 1965, my father and I visited the area, taking pictures and seeing the sights. Since my father retained most of the original slides, I had a hard time remembering our brief visit to Redrocks. All that I remembered about Moab was a huge pile of nuclear waste that threatened the Colorado Riverway and old Arches National Monument as it must have looked during Edward Abbey’s tenure there. 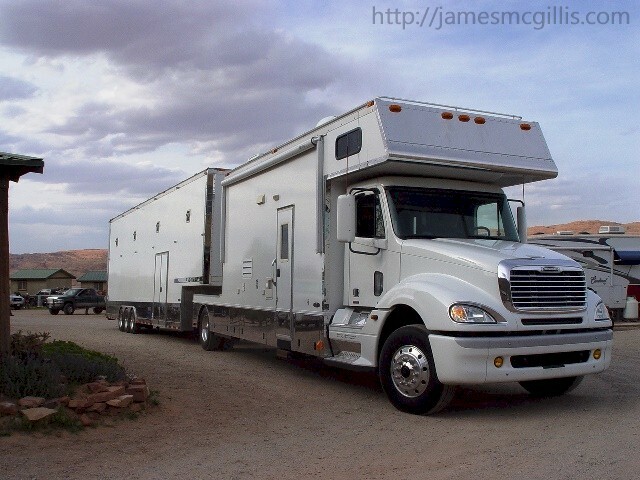 In 2006, I was living a full time RV lifestyle, moving north in the summer and south again each winter. After seeing sky-high property values in Durango and in the Phoenix area, I thought that Moab might still be a place to buy property. My plan was to visit Moab for the summer, staying as long into the fall as the weather would permit. I knew that the summers there were hot, but nothing like the heat island that enveloped Phoenix, Arizona each summer. I also knew that winter in Moab could be quite cold, although I was not sure when the cold weather actually started. 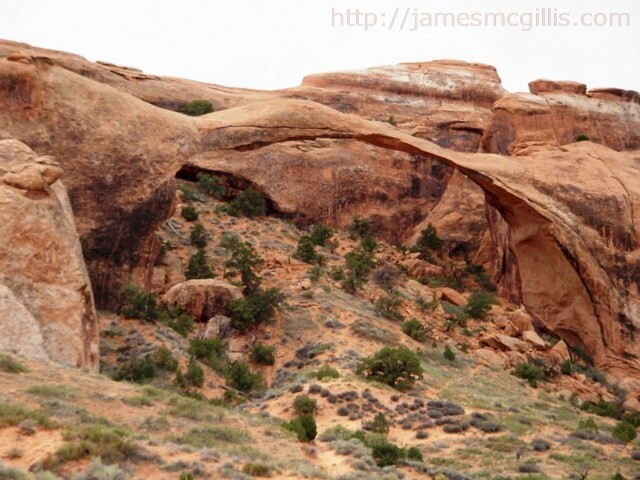 Before my move from Cedar City, Utah, I conducted a two-day scouting trip to Moab. Staying at the venerable Red Rock Lodge, I felt that the place was familiar. Although the rooms seemed clean and new, the polished concrete floor gave away how old the place actually was. The Red Stone Inn was indeed the same place my father and I had stayed during our 1965 visit. Built to help house the many workers and visitors during the 1950’s uranium boom, I wondered if a Geiger counter would start clicking if brought into my room. 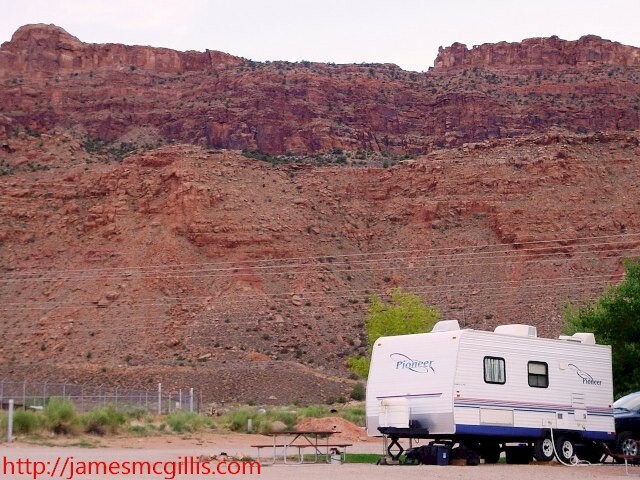 While in Moab, I used most of my time visiting and evaluating each of its many RV parks. Some parks would not rent to me by the month. Others were too expensive for my housing budget. Near the Colorado River, there were too many mosquitoes for my taste. One RV park was adjacent to a horse stable, with all of the attendant dust and odor. Finally, I narrowed my selection to one place. The owners seemed friendly and they were reasonable in the monthly rent that they charged. That place was the Moab Rim RV Campark & Cabins, south of town on U.S. Highway 191. Every RV park has its compromises, including the Moab Rim. Indeed, there was some noise from the nearby highway and its substantial truck traffic. Although there was still some traffic noise at bedtime, as each night would wear on, the sound subsided until it did not bother my sleep. What made up for the traffic issue was the easygoing feel of the place. Owners Jim and Sue Farrell managed the place by day and went home each night. The owners expected their guests to know the unwritten rules that apply to every RV park. While they went home each night for a good night’s sleep, the Farrell’s trusted us to treat each other and their property with respect. The other big draw at the Moab Rim Campark was its setting. Behind the RV park and to the west was the spectacular Moab Rim, which rises untold hundreds of feet above the Moab Valley floor. 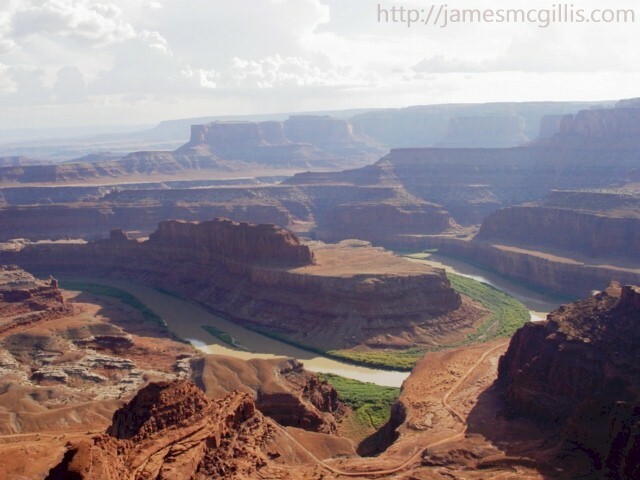 To the northwest was an unobstructed view toward the City of Moab and the Colorado River beyond. To the north, was the famous Slickrock area, known for hiking, biking and challenging Jeep trails. To the northeast was the most spectacular sight of all. 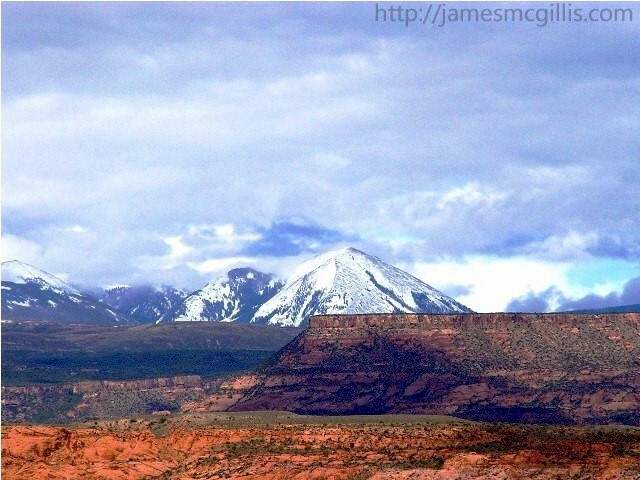 Standing high and proud was the La Sal Range, with peaks over 12,500 feet high. Even in June, a lingering snow pack looked white and even. Sometimes we cannot choose our neighbors. Just across Canyon Rim Road, which abuts the southern end of the RV park was a construction yard that looked more like a junk yard to me. 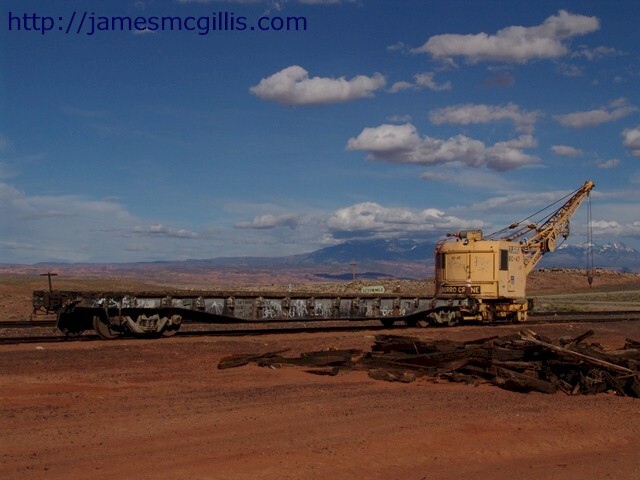 Derelict trucks and equipment were everywhere, even partially blocking my view of the La Sal Range. After considering that junky view, I decide that it was not enough to deter me from enjoying the other three hundred and fifty degrees of great sights that the Moab Rim Campark had to offer. In late June 2006, I took up residence at Site E, located at the far end of the main row. Soon, I set up shop in my travel trailer and resumed my executive recruiting business. For internet access, I used an old 2-G wireless card from AT&T. During the day, everything was fine. I used my mobile telephone to call clients and candidate alike. The wireless card allowed me internet access, as well. Then, each weekday around three, the internet cut off and would not work until well into the evening. After consulting extensively with AT&T, we determined that Moab was far too busy a place for reliable mobile computing. Between the tourists, the locals and emergency responders, there was too little bandwidth in Moab to go around. After changing my work hours to accommodate the wireless issues in Moab, I had time to enjoy myself outdoors each afternoon. I took up running at the local high school track several times each week. Other days, I would visit local points of interest. Retracing my steps from 1965, I visited Arches National Park, Canyonlands National Park, Dead Horse Point State Park, the Colorado River and many other spots. The supply of amazing natural wonders seemed inexhaustible to me. Now, eight years later, I realize that my 2006 thoughts were correct. Although I have visited Moab at least twice each year since 2006, I have not come close to seeing and doing everything that I would like to see in Moab. In 2007, I started writing my blog. Looking back on the three hundred articles that I have posted since then, no less than sixty of them are about Moab and Grand County, Utah. 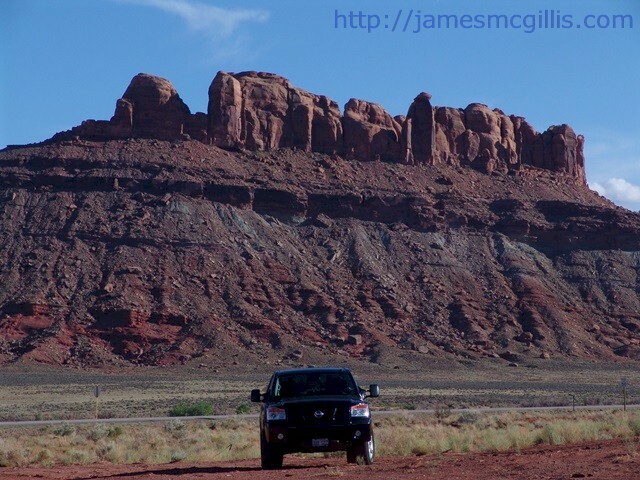 Although I did not set out to write so much about Moab, my many visits to the Moab Rim Campark allowed me time to take pictures and write about the places and issues that make Moab unique. 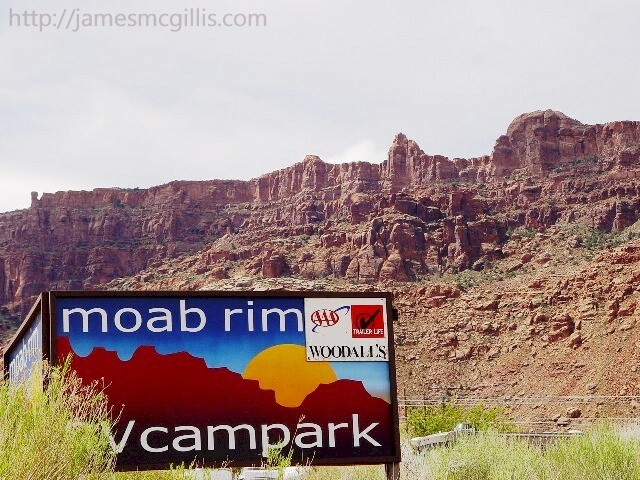 (Author's Note - November 2014) I have the great pleasure to tell the world that the Moab Rim RV Campark & Cabins sold in late 2014. 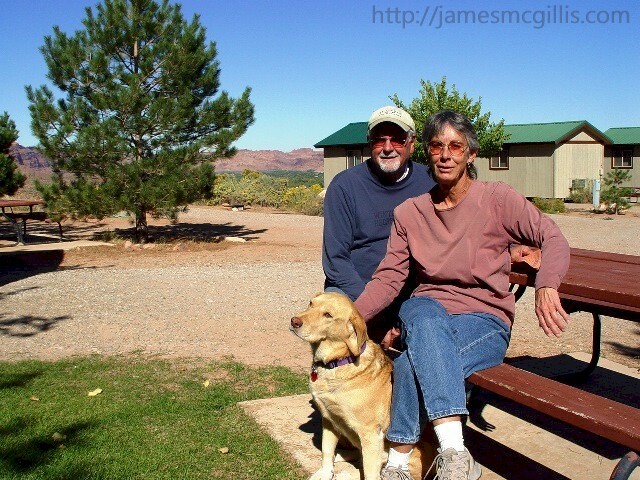 Jim and Sue Farrell, former owners of the RV park told me that new owners will now carry on the tradition of providing the best RV and tent camping in Moab, Utah. Best wishes to all. Desolation Canyon - Wilderness Study Area or Hollywood Back Lot? According to a recent Deseret News article, “Moab, Utah's scenic and diverse landscapes are an alluring backdrop for movie makers, and now the science- and thrills-based ‘MythBusters’ has picked the Desolation Canyon area to film an upcoming episode. Officials with the popular show are keeping mum about the ‘myth’ to be busted or proven — the trick is to tantalize the viewers — but a Bureau of Land Management (BLM) document details two curious components: duct tape and bubble wrap”. The article goes on to say that the upcoming episode will, “showcase the rugged terrain of the Desolation Canyon Wilderness Study Area and feature rollicking romps along the Colorado and Green Rivers”. According to the Moab BLM Office, filming will take place in eight locations over ten days. “Strict time limits are set on film or movie permits in wilderness study areas to limit impacts (italics mine) to the environment”, a spokesperson said. With a purview 1.8 million acres, could the Moab BLM Office not suggest a less fragile and easily disturbed environment for filming? With over one hundred commercial film permits issued by Moab BLM each year, how many authorize shooting within “wilderness study areas”? Why allow anything but legitimate scientific or culturally significant filming in such a near-pristine environment? The Deseret News article went on to say, “Review of the permits is a necessary function of the BLM's public land management responsibilities, ensuring that recipients comply with the appropriate safeguards to minimize (italics mine) disruption of the environment”. The permit for MythBusters signed April 12, 2013 and issued the following week, encompasses activities that "would otherwise already be allowed in a wilderness study area, such as hiking or climbing". In the BLM statement, there is no mention of vehicular support, power requirements or sanitary facilities. To me, “limiting impacts” and “minimizing disruption” at the Desolation Canyon Wilderness Study Area is not enough. In support of ersatz science and commercial profit, BLM should allow no additional impacts or disruption of the wilderness study area. Wilderness stays wild only if protected from overuse by humans and their machines. If I understand the concept, a professional production team will film actors as they recreate an experiment for which they already know the results. To spice it up, they will add some “personal danger” component. By “saving the day” with their duct tape and bubble wrap the Discovery Channel will appear to justify filming in a wilderness study area. If my thesis is close to the truth, the Moab BLM should require additional environmental safeguards for commercial shooting within any of its wilderness study areas. Those safeguards should include aerial video footage focusing on the shooting locations, both before and after commercial activities. After completion of filming, BLM should compare the “before and after” footage, as provided by the permit holder. If there is any substantial impact or disruption of the environment, the production company should pay for remediation, replanting or loss of riparian habitat. 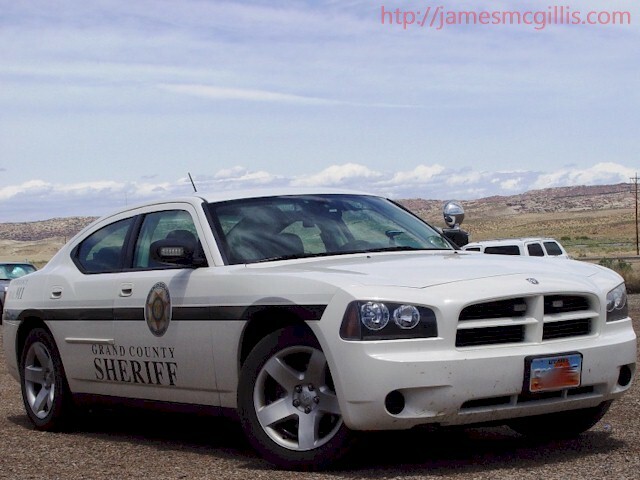 While filming the dramatic conclusion to the 1991 film, Thelma & Louise, director Ridley Scott leased a fleet of eleven Grand County, Utah and other official police vehicles. Up on the Shafer Trail, Scott ordered the “lawmen” to chase Thelma & Louise to the edge of a previously untrammeled mesa. 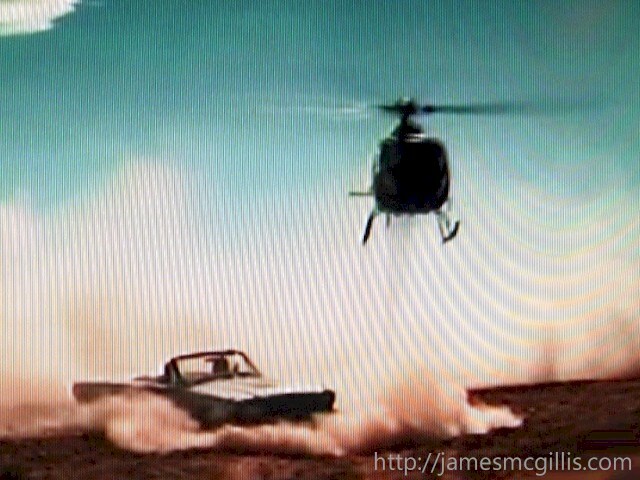 During multiple “takes”, all eleven vehicles chased the actors or their stand-ins toward their eventual demise over the edge of the Colorado River Gorge. 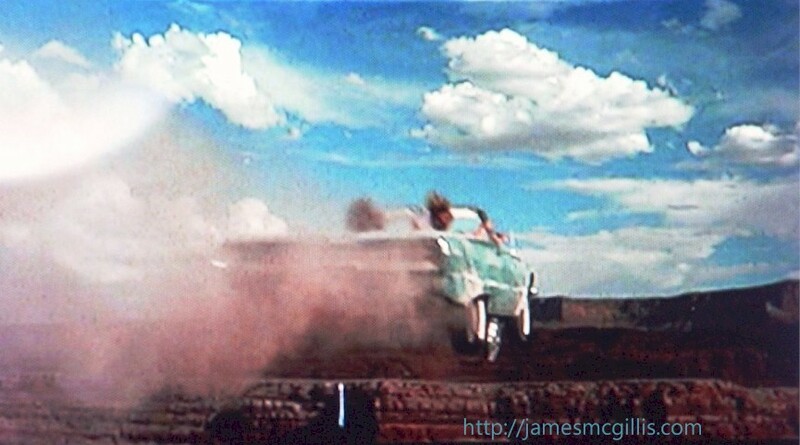 Although Thelma & Louise is one of my all-time favorite movies, I was sad to see that the a total of twelve vehicles and their forty-eight wheels cut deep grooves into the soft, cryptobiotic soil atop the mesa. When viewed today, either in person or via Google maps, the mesa is a denude landscape, cut by arroyos and multiple social roads. 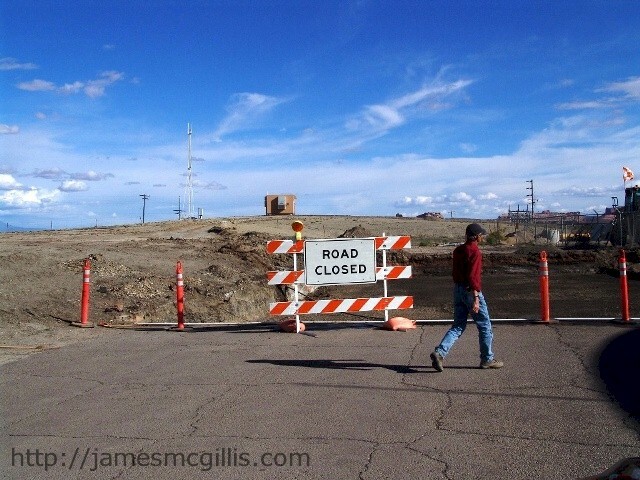 Although Thelma & Louise Mesa is an environmental wreck, no one seems to notice or care. At this time, I do not accuse the BLM or MythBusters of anything untoward. Still, the public has a right to know how our most fragile public lands are used. As such, it would behoove the producers to rent a helicopter and document their activities for all to see. If they would devote more time to environmental preservation and less time to their “duct tape and bubble wrap” drama, I might tune in and watch their story on TV. Since BLM issued the MythBusters film permit in mid-April, all of this may be a moot. If production schedules are tight, the entire process may already be over. If there was no aerial-video oversight of this project, perhaps BLM can add it to their requirements list. Then, next time they issue a permit for commercial filming in a wilderness study area, the public will be able to observe the outcome. Until then, whatever happens in Desolation Canyon stays in Desolation Canyon.